The Norwegian capital city has recently began to attract again the attention of enthusiasts of architecture, design and art, thanks to the opening of the contemporary museum “Astrup Fearnley” designed by the well-known Italian architect Renzo Piano. The signing of Piano is among other things also in the “Kulturpark”, the sculpture park near the exhibition space. Oslo continues to evolve itself and the proximity of the Oslofjord and the islands (as well as the nearby hills and forests) makes it a city that can offer an unique scenery. Oslo has a large number of museums and galleries, including “the Munch Museum”, the “Viking Ship Museum”, the “Vigeland Museum”, together with the nearby “Vigeland Sculpture Park” and the “Astrup Fearnley Museum of Modern Art”. In the northern city there are many theaters as live music and sporting events, such as the “Holmenkollen Ski Festival” and the “Norway Cup”. The Opera House, opened in 2008, is an example of how contemporary architecture can communicate with the existing city and the natural environment, offering more options to enhance the free time of the inhabitants. Oslo is also very popular for its variety of cafes and restaurants, conference facilities, and especially for the completeness and efficiency of its public transportation and its links to other Norwegian and international destinations. Anyone who is traveling in Germany, Sweden, Denmark, will find it very easy to get to Oslo. The capital of Norway has a city center that it’s possible to walk through quickly thanks to the efficiency of the public transportation network and that makes it particularly enjoyable. The main street, Karl Johans gate, branches off from the railway Central Station and following it it’s possible to see the National Theatre and the Royal Palace. Around this artery is easy to find museums, hotels, shops. The view of the city beyond the outline of the statue of Karl Johan or the reconstructed vessels near the Akershus Fortress is unforgettable. Different corners of the city offers surprises that come suddenly into view as the typical wooden houses. 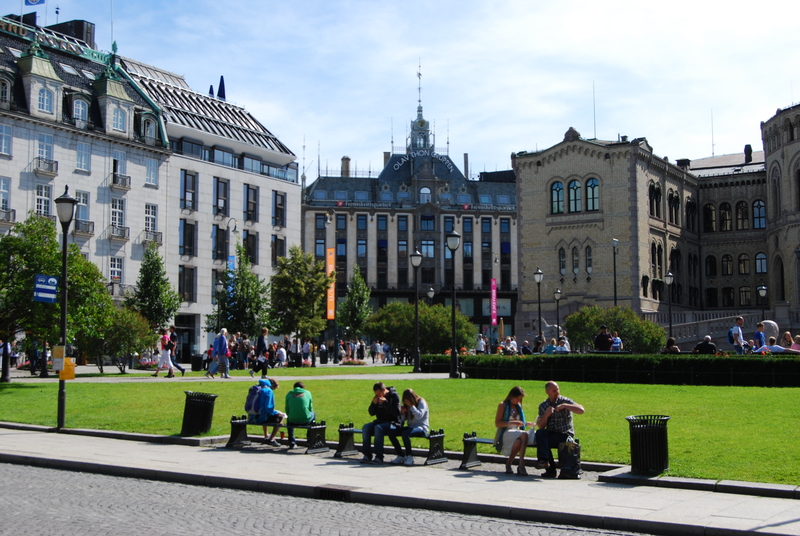 If someone loves art, there’s just to spoilt for choice, because Oslo has over fifty museums, and much more galleries. Among these museums are the Kon-Tiki, the Fram Museum, the Ibsen Museum, the Norwegian Museum of cultural stories, the Nobel Peace Center, and the quaint ski museum, the Holmenkollen ski Jump. Design and architecture are the two protagonists of Norway today and its capital, from the Opera House to the Astrup Fearnley Museum of Modern Art, the last five years have seen a flowering of examples of Nordic creativity in this amazing city, where innovations have complemented by the existing architectural beauty. All this has been successful in enhancing them through a particular development of new perspectives and a constant attention to the balance of the urban context. Holmenkollen for instance is one of the areas that was most affected by this artistic ferment applied to the city, with new works built during the skiing competitions.